In a rocks glass, pour in the vodka and rhubarb syrup over ice. 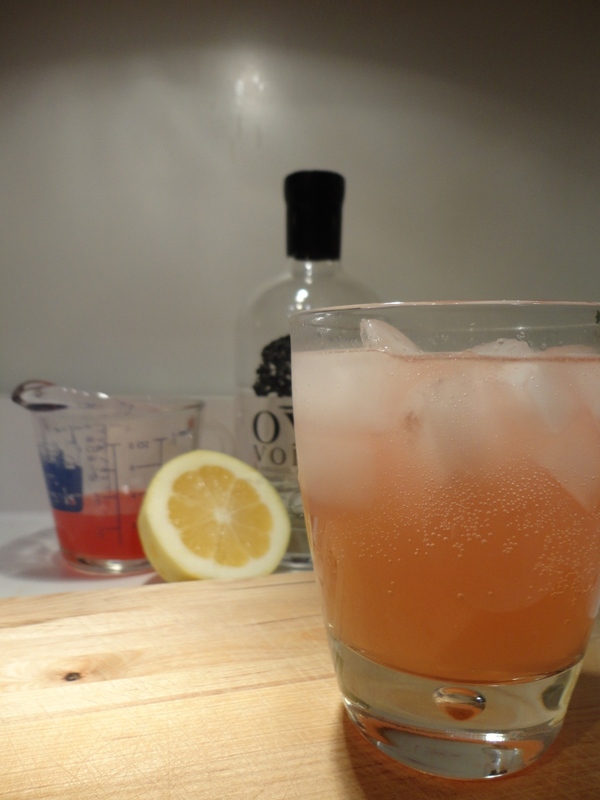 I’m quite serious about the OYO vodka–I promise you’ve never tasted anything like it. Squeeze over a bit of fresh lemon juice–you want the liveliness of the lemon, not the tartness; the rhubarb has plenty of tartness already. Top with club soda and stir to combine. Adjust sweetness with either simple syrup or rhubarb syrup depending on your taste. Combine all ingredients in a baking dish and bake at 350F for 20-25 minutes. Cool and strain in a colander set over a bowl. Strain the syrup through a fine-mesh strainer and save for cocktails. I should have some rhubarb crop coming due here shortly…I may have to give this a whirl! Thanks. Sure thing! You can also use the baked rhubarb chunks in yogurt for a tasty breakfast or put them over ice cream w/ granola for dessert. Probably tons of other uses, too.